Sam brings a keen eye and strong background in multi-family housing and neighborhood planning throughout the Midwest and southern United States to GSMA. Prior to moving to Houston in 2013, Sam worked at award-winning firms in Seattle and San Antonio, his hometown. 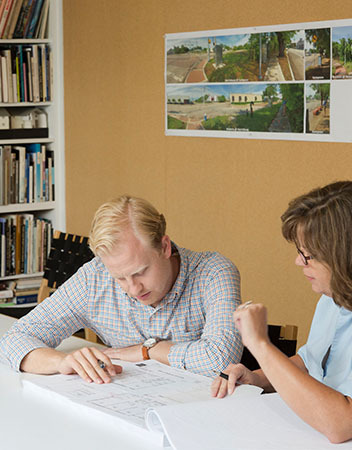 A graduate of Kansas State University College of Architecture, Planning, and Design, he studied architecture in Italy and is now active in the Rice Design Alliance’s young professionals group. Sam enjoys the diverse culture of Houston from attending architecture lectures and art museums to playing on an intramural soccer team.